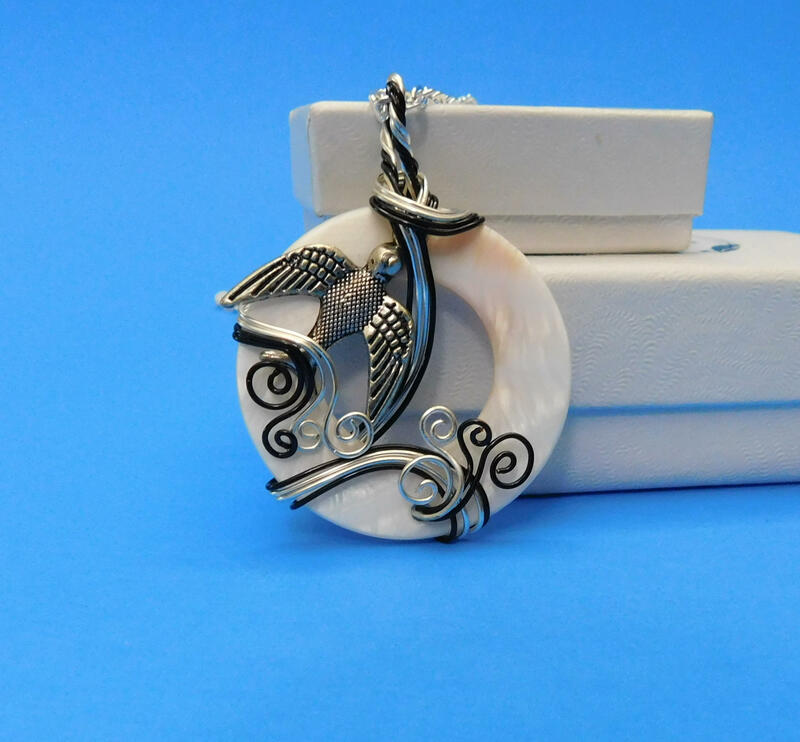 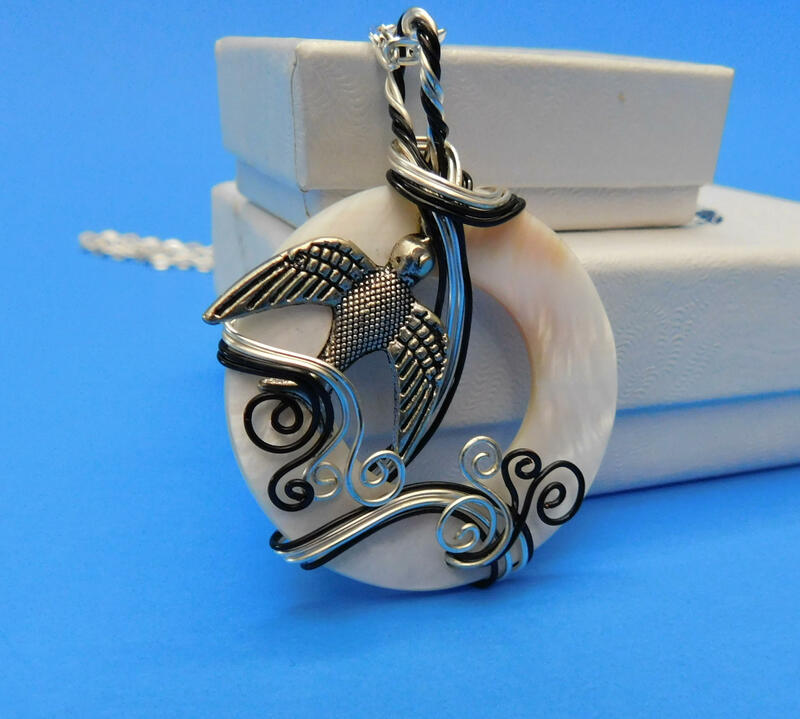 A 1 1/2 inch white mother of pearl ring is wrapped with non tarnish black and fine silver over copper wire, and embellished with a silver metal flying bird. 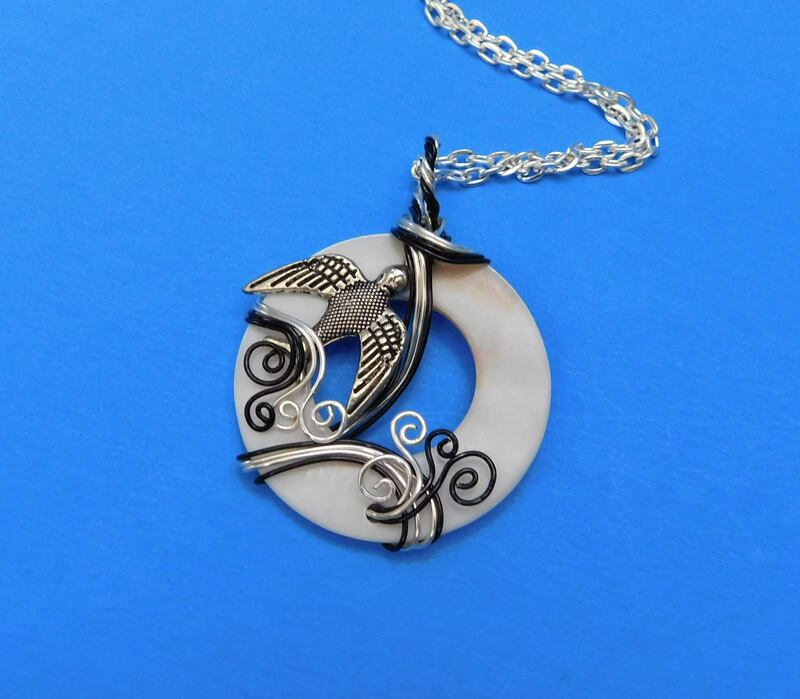 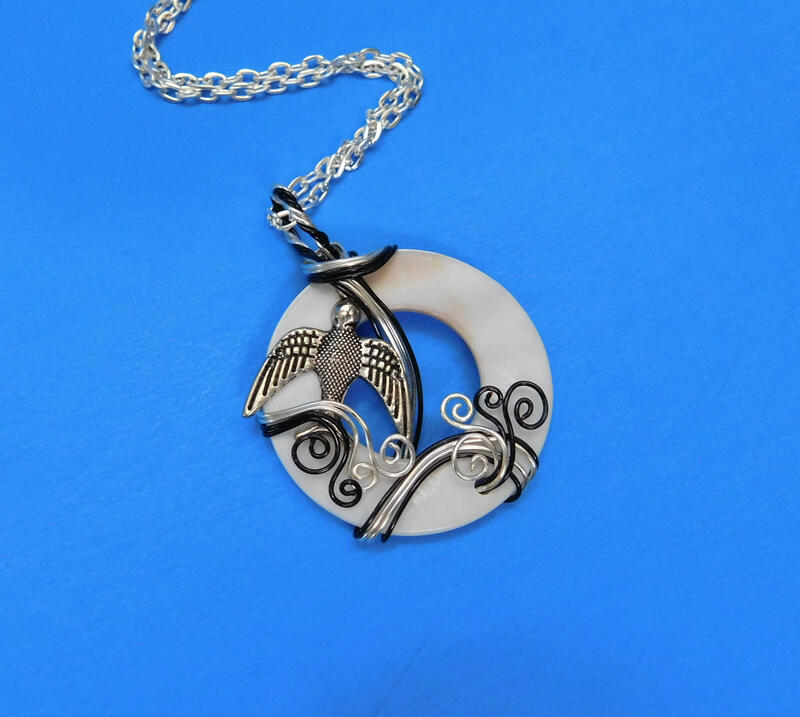 Birds in flight have symbolized freedom, graduation to the next phase of life, leaving the nest, or sometimes the memory of a loved one who has passed. 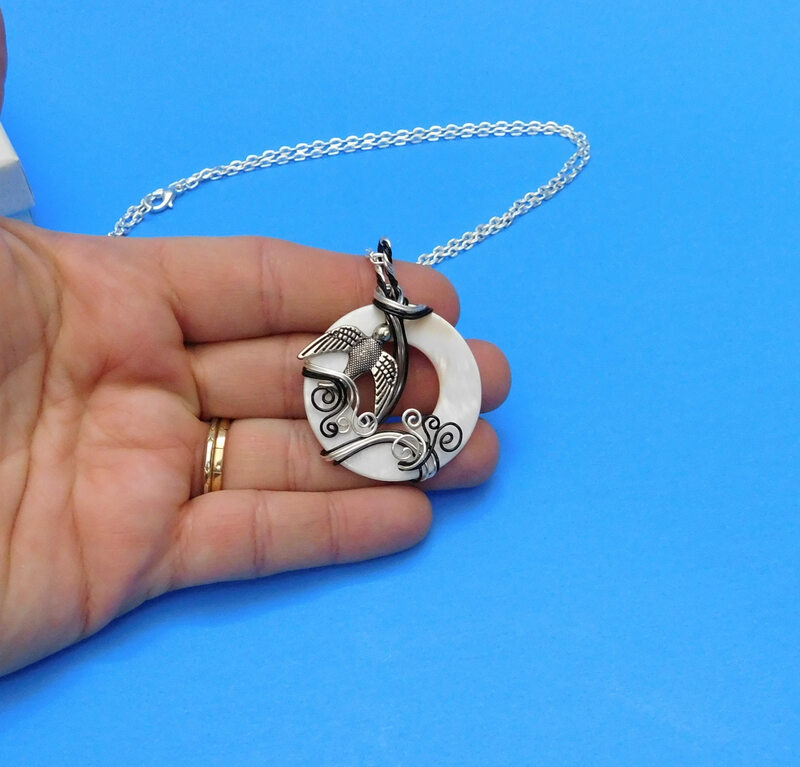 Whatever the meaning, this artisan crafted pendant will be appreciated by the woman who wears it.